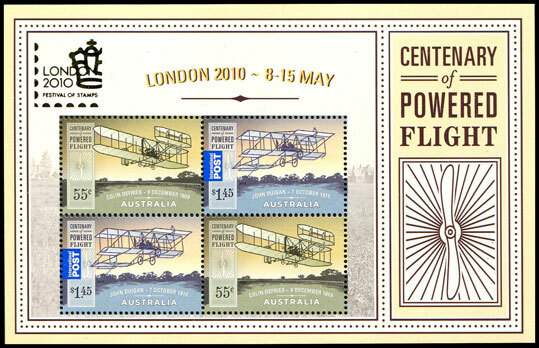 Unlike many other countries which issued stamps for the centenary of the Wright Brother's first flight in 1903, Australia Post has waited until 2010 to celebrate the centenary of powered flight in Australia. 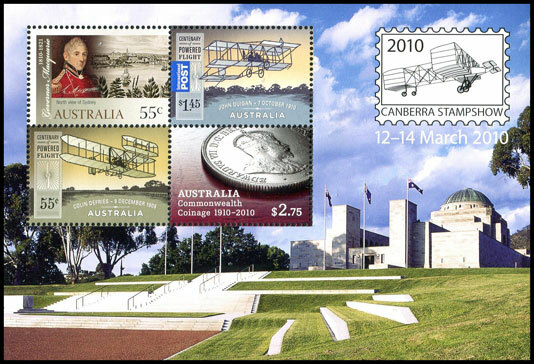 Australia's first powered flight was undertaken by Colin Defries on 9 December 1909, though he crashed on landing. The first successful powered flight was made by Harry Houdini on his 1910 tour. 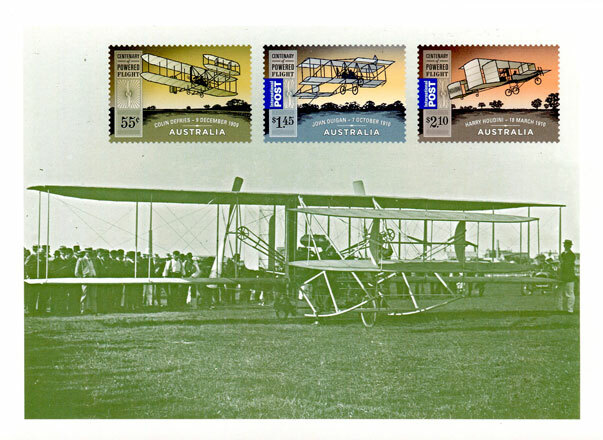 He bought with him his Voisin biplane and made the flight at Diggers Rest, Victoria (near Melton) on 18 March 1910. 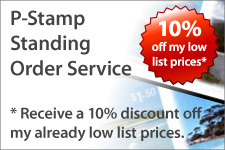 The issue consists of three stamps. 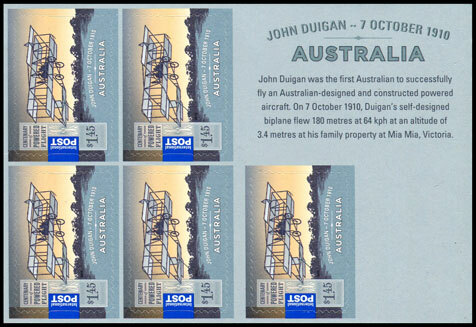 The first two commemorate Australian aviation pioneers: Defries on the 55c and John Duigan on the $1.45. 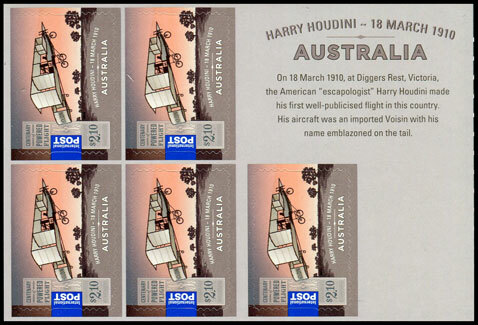 Harry Houdini's first flight is commemorated on the $2.10 stamp - which happens to be the airmail rate to the United States. 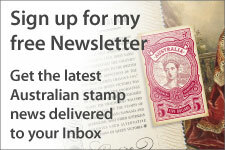 The 55c and $1.45 stamps were issued in individual sheets of 50 stamps, with a very similar version in the Canberra Stamp Show miniature sheet. Text on miniature sheet stamp is thinner than the regular sheet stamp text. 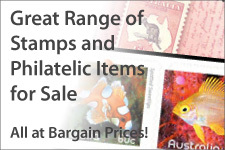 The $1.45 and $2.10 stamps are issued in booklets of five self-adhesive stamps. 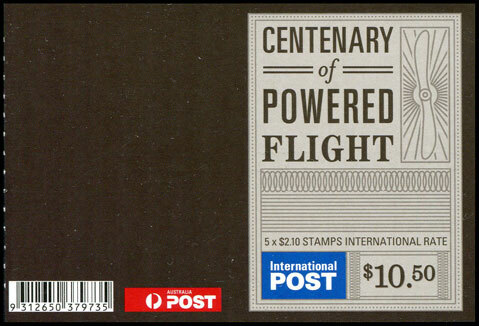 The phosphor runs along the top and left of the design, around the International Post indicator. Even though the booklets are printed with a clear cover, they are not rouletted to enable them to be folded in half. Booklets are distributed to post offices in chequebooks of 20 booklets. These are not listed on this website. 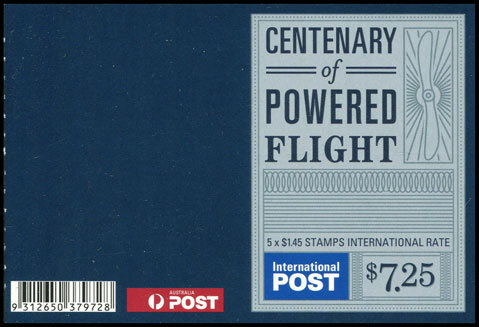 There will be two releases of postal stationery for this issue - the regular maximum cards, and a special flight postcard. 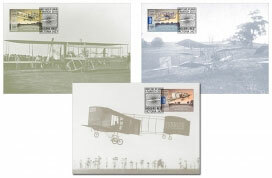 The special flight postcard was limited to 1785 copies and was flown on a mail flight re-enactment (more information is given on the postcard's back). This postcard was only available via mail order at a cost of $4.95, and was limited to one per customer. 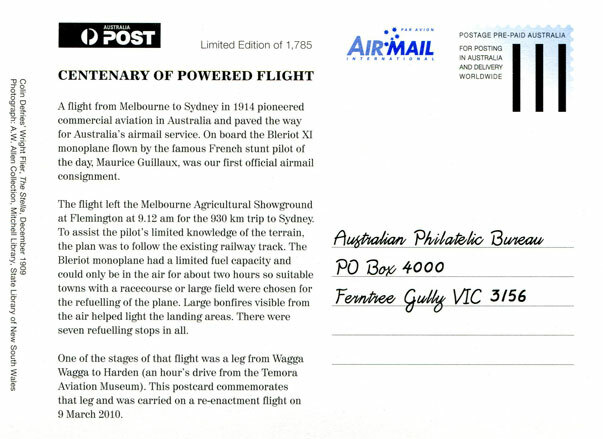 The postcard notes the re-enactment flight took place on 9 March, but was sent out by the Philatelic Bureau until 9 April! The postcard was only available addressed.